Pixie Hill: Fairy Godmother's Wardrobe Cupboard Thingy Part Deux! Fairy Godmother's Wardrobe Cupboard Thingy Part Deux! I told you it was on the way! FINALLY part two of my Fairy Godmother's Wardrobe project. 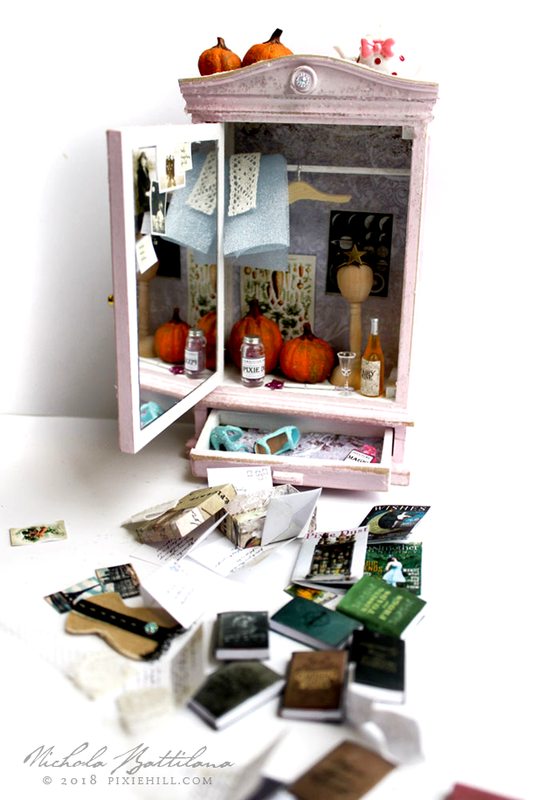 I've made a video tutorial to help those who purchase my Fairy Godmothers Cupboard Collage Sheet. The sheet includes posters, dust jackets, labels, love letters, magazines, postcards, notes, envelopes, and templates. It's basically chocked full of miniature goodness. It includes all of the papery accessories from the Fairy Godmother's Wardrobe project. I'm having a few issues with etsy at the mo *shakes fist! 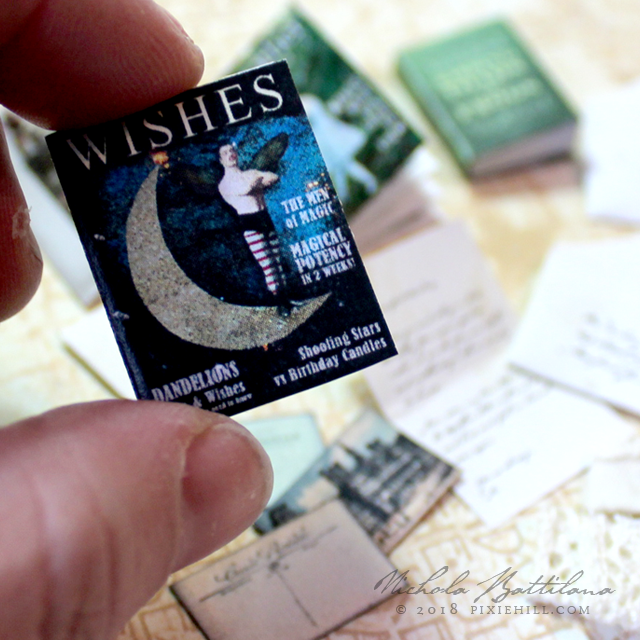 * but the collage sheet is available as a download from AlphaStamps.com so you can get started making wee magical things right away. And the video tute should make things easy peasy! Now there's no excuse. GO! MAKE ALL THE LITTLE THINGS! Definitely georgous!!! 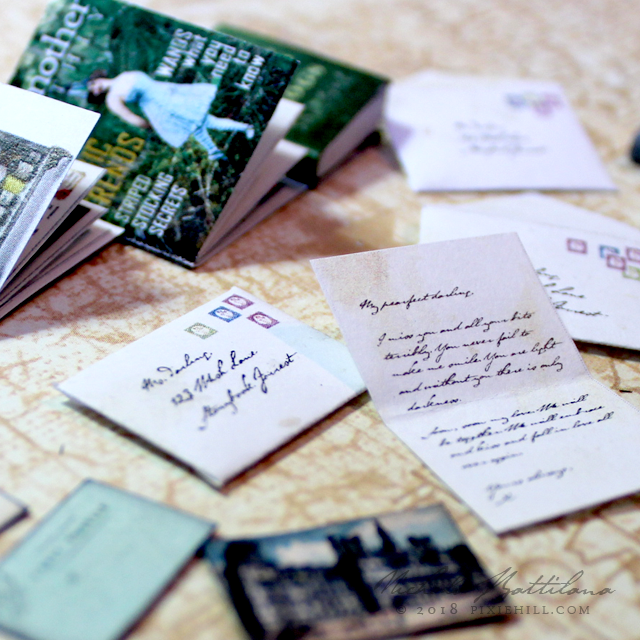 Love the tiny postcards and letters! Really sweet! 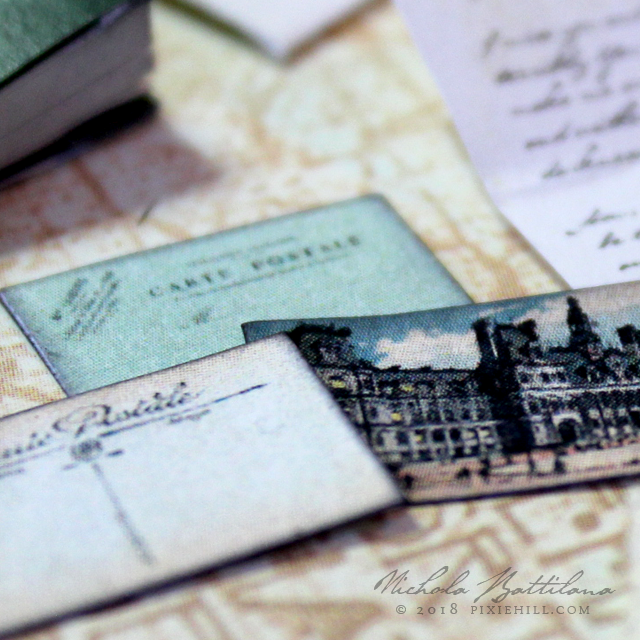 Love the tiny little letters and envelopes! Happy New Year to you and your family! Can't wait to see what this year brings. The problem is that this takes away all the parental threat of being "locked in the wardrobe for bad behavior"! I would have been a rotten kid if THIS is where I would have been sent for punishment!!! Beautiful and inspiring of course!! !